We have had great excitement at Busy Bees, as the book Sue has written with two of our tutors has been published by New Holland Publishers. 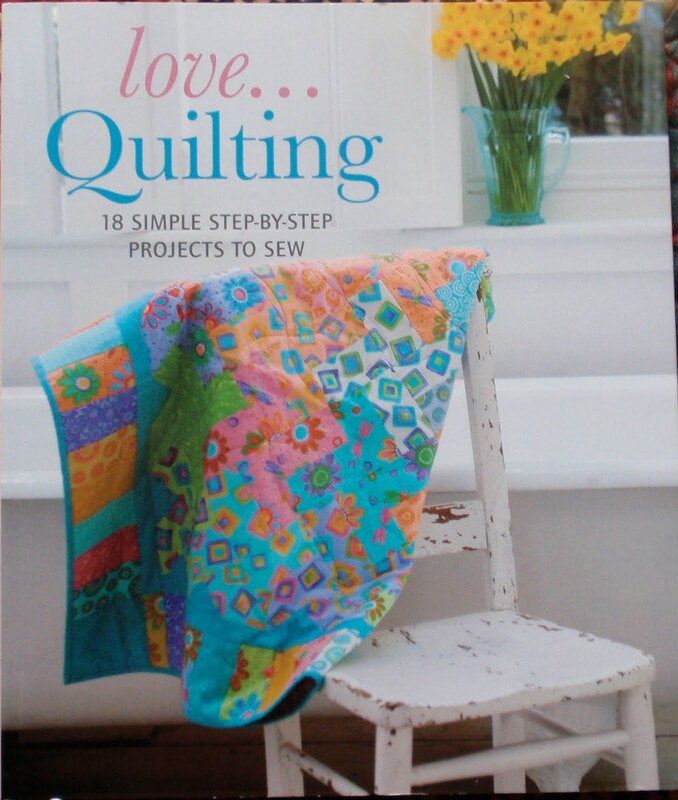 The books title is 'love...Quilting' and has 18 simple step-by-step projects to sew. Sally Ablett and Marion Patterson are the co-authors of the book, both are experienced quilters and good friends and tutors of Busy Bees. 'love...Quilting' has a lovely collection of projects for you to make. From bed quilts to wall hangings from a bag(made by Sue) to a table runner. The four items Sue has designed and made for the book are, a' charm square bag'. For this design Sue used a pack of Moda charm squares. This has been a very popular pattern of Sue's and it is lovely to see it in print. The quillow, which you will find on page 70, I know from personal experience, is a lovely quilt to make, as Sue gave me the pattern and I have made it myself on a few occasions. Sue has taught this class at Busy Bees many times and I have never seen one that I haven't liked. Little quilt, which is on page 100, would make a lovely cot quilt for a new baby. You can have fun making it in lots of different colours as it is quick and easy to make. It would also look good as a wall hanging. The last of Sue's projects is a wonderful way to use up all your scraps. The quilt is called 'slap dash logs' and is a very happy easy going kind of quilt. There is also a simple to understand how-to-do section at the front of the book. I have read some lovely reviews including Karen Platts book review, who says that 'love...Quilting' designs are shown very clearly and the instructions are clear. In addition each pattern has alternative colourways. It includes log-cabin style, pinwheel and other methods of patchwork. An excellent book for the beginner. Next time you are visit Busy Bees do remember to take a look at the book, which is on sale for£12.99.